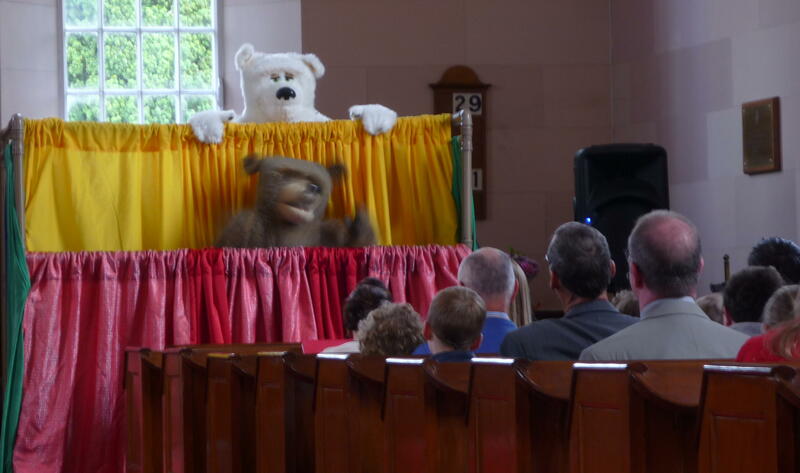 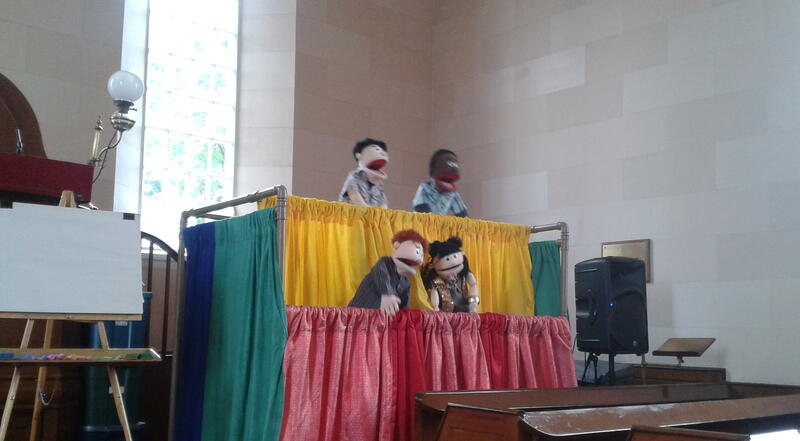 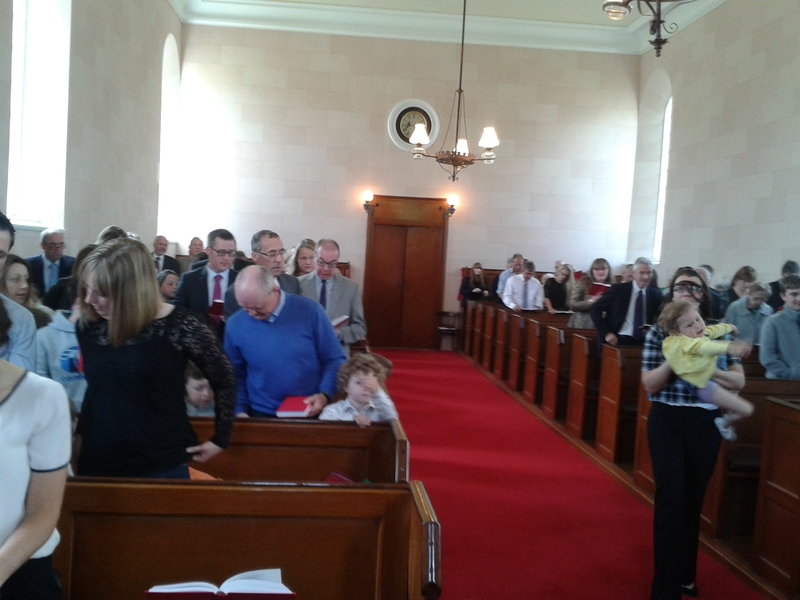 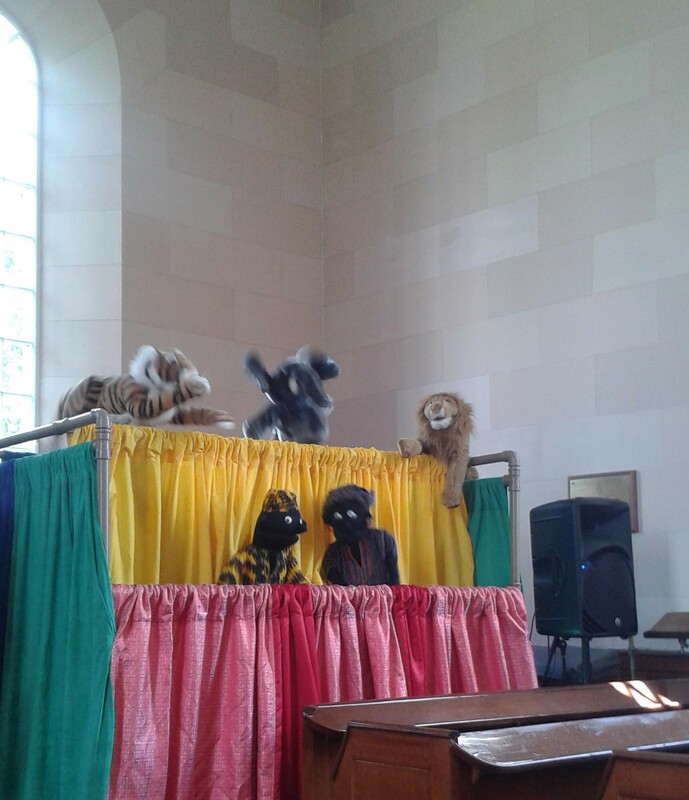 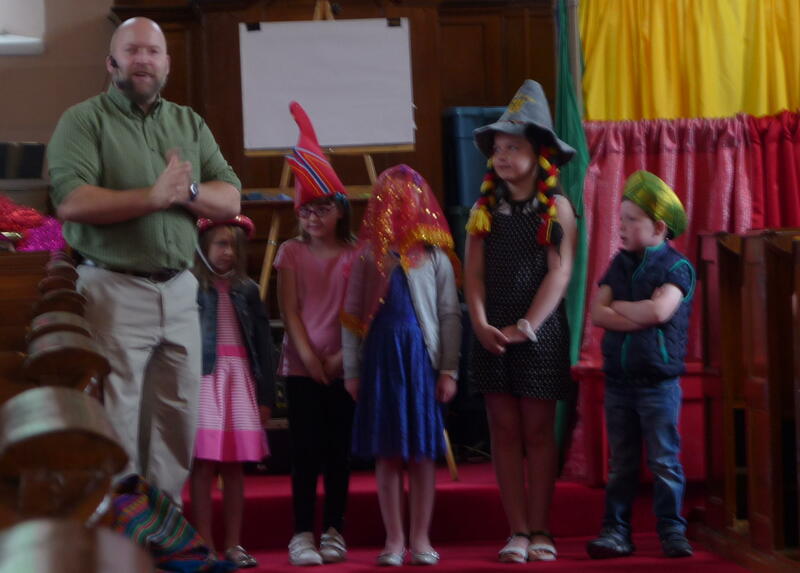 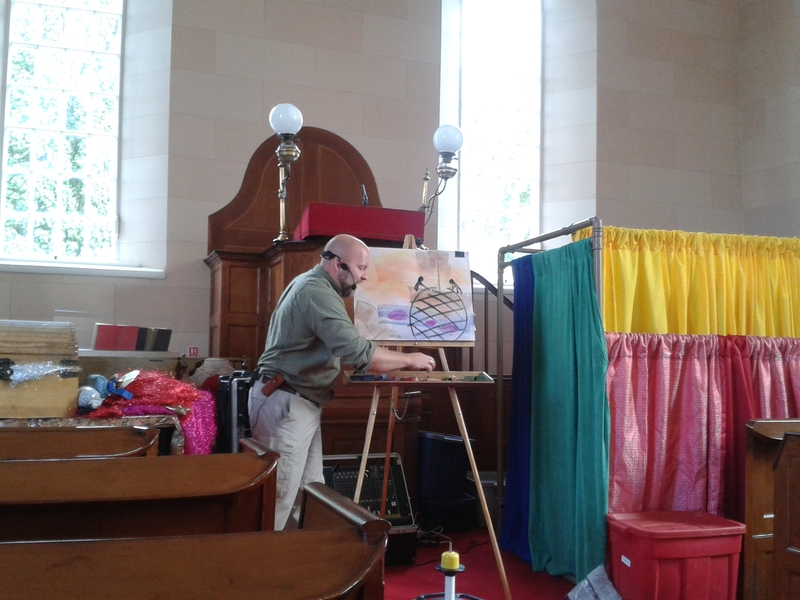 On Sunday, 19th July worship at Clough was led by Sam Shaw and Godshandiwork Puppets. 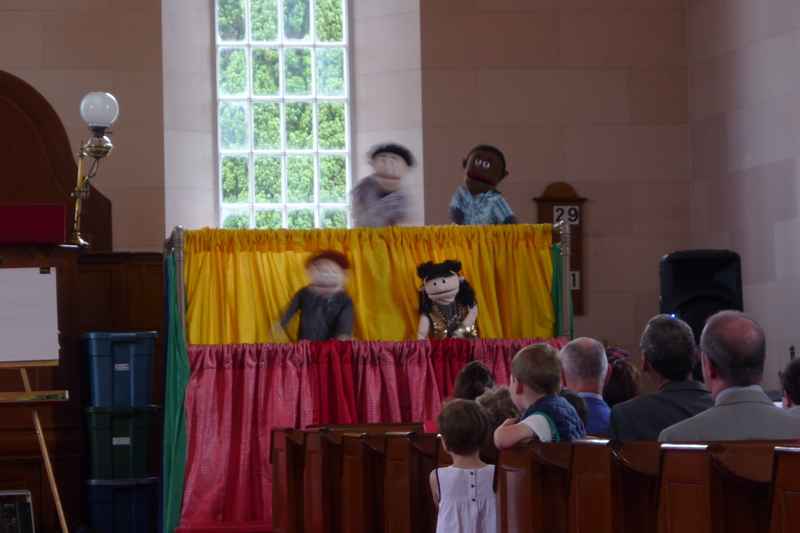 There was a large congregation of members, both young and old, and from Ballee and Downpatrick as well as Clough and everyone was enthralled by the wonderful, varied presentation given by Sam and his team which included puppets, music, drawing and lots of fun. 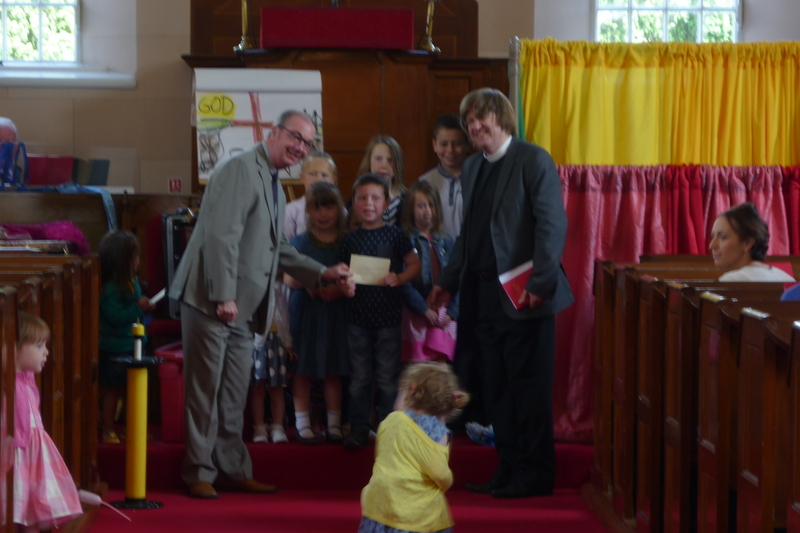 Over the last year Clough Sunday School have also been raising money for the Downpatrick and District Autism NI Parents Support Group and at the end of the service Sunday School member Thomas Rooney presented a cheque for £230 to Ashley McKinley on behalf of the Parents Support Group.